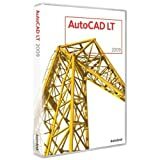 AutoCAD LT is a CAD software package available for both Microsoft Windows, and once again (after an absence for some years), the Apple Macintosh. It is cheaper but somwhat less powerful version of AutoCAD, lacking the full versions's 3D capabilities, and advanced customization features such as VBA, AutoLISP and ObjectARX. 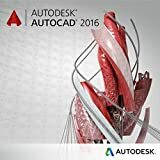 Need To Learn AutoCAD or Revit In A Hurry? Our AutoCAD and Revit Video Tutorials cover everything you need to get started quickly. Guaranteed. Create 2D drawings more efficiently. Share documentation with confidence using TrustedDWG technology. AutoCAD LT 2018 - Windows 64 bit: Software for personal use, Installation process, activation process for lifetime, 100% working. How to use application, design graphics training videos, error handling training guide. For Windows 7,8,8.1, 10 all. Complete training guide. Delivery process: Digital download link will be provided, no DVD-ROM . Available instantly upon completion of purchase. Available from any device connected to the internet, including computers, tablets, and all modern smart phones. Can be consumed as a start-to-finish training course as well as be used as a quick reference tool. This cloudDVD-based training course is equivalent to two days of onsite classroom training. It consists of 4+ hours of condensed, instructor-led HD video content and delivers a comprehensive education on how to use AutoCAD LT 2012. The curriculum encompasses all common technical drawing and drafting tasks, including creating and manipulating basic 2D geometry; organizing and extracting information from your drawings; annotating your drawings with text and dimensions; plotting your drawings; and developing and working with reusable content using blocks, Tool Palettes, and DesignCenter. You will have access to the course for one (1) year, and you will be able to watch a total of 20 hours of video. Once you have completed the course, you will be able to download and print a Retrieve Technologies Proof of Completion certificate. Dramatically increase productivity with AutoCAD LT software, the world's number-one-selling 2D drafting and detailing product. AutoCAD LT is a powerful solution for designers who need full DWG native file format compatibility without 3D capabilities or advanced customization. Increase efficiency with an updated user interface that not only accelerates routine tasks, but also makes commands easier to find, helping new users become productive as quickly as possible. Working with layers is now easier than ever. Move to new heights of productivity with AutoCAD LT software. Retail box with CD, product key, manual, and other materials.